Shadow Blade is an excellent example of a mobile Android game that is made so much better by Ouya microconsole. In this fast-paced ninja action-platformer, you guide a ninja through challenging levels, around countless traps, sneaking past enemies or right over their dead bodies. You have to be fast, be sneaky and be aware of your environment. You have to be a ninja! Ninja games are a lot of fun. Always have been, always will be. The best ninja games perfectly capture a sense of speed, stealth and elegance, all while being easy to play. Shadow Blade for Android is all of these things, and with the wonderfully fluid controls on Ouya, Shadow Blade again proves that some games made for Android simply work better with an actual controller. 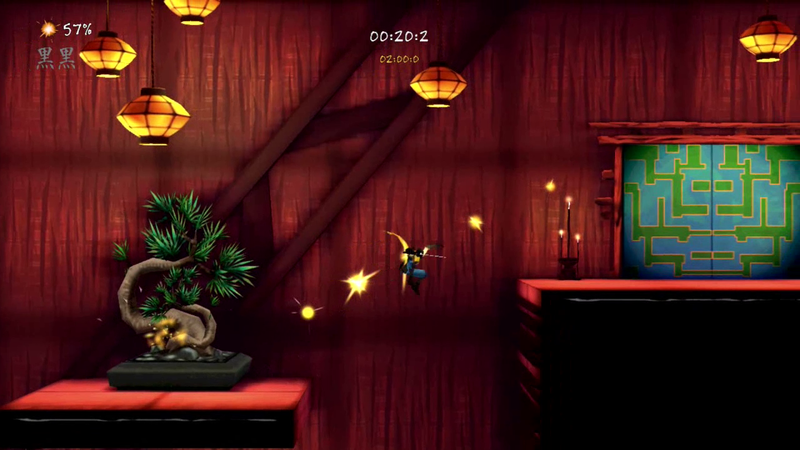 Shadow Blade is a mixture of old and new, fresh ideas and time-tested gameplay foundations. The result is a game that is akin to the Ninja Gaiden NES trilogy, yet had modern sensibilities in regards to concepts like difficulty and pacing. This approach works so well Shadow Blade is easily one of the best games not only on Ouya, but on Android as a whole. Shadow Blade is not to be missed. Enter the world of Shadow Blade. Players assume the role of a ninja Kuro, a young man on his quest to stop the uprising of rival ninja Amida sect and become the Shadow Blade. He must seek the teachings of the last remaining ninja master. 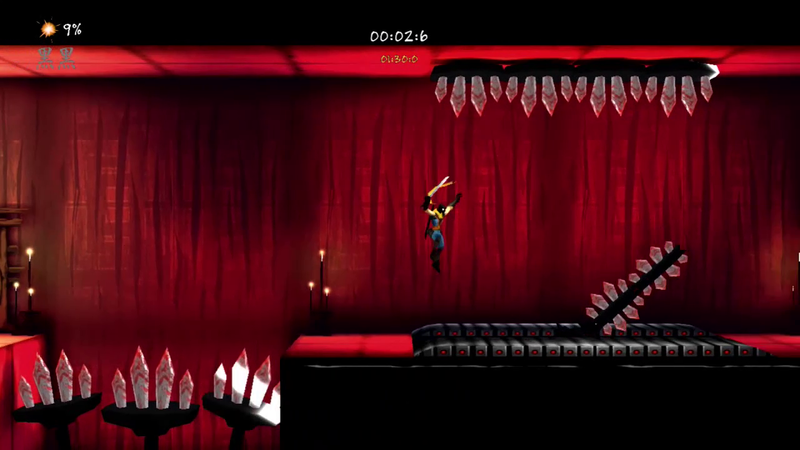 You guide Kuro through challenging levels, around countless traps, sneaking past enemies or right over their dead bodies. You have to be fast, be stealthy, be aware of your environment. You have to be a ninja. 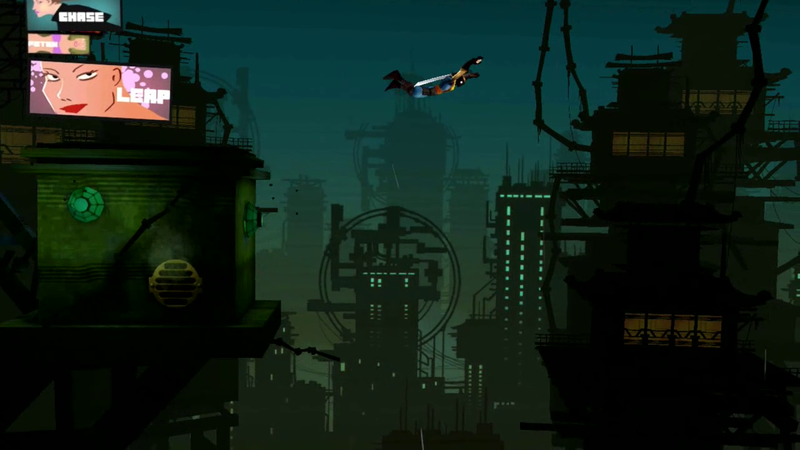 Shadow Blade is a beautiful looking 2.5D game, using polygonal characters in place of sprites. The result is smooth animations that look fantastic, even on a big screen 50″ HDTV. 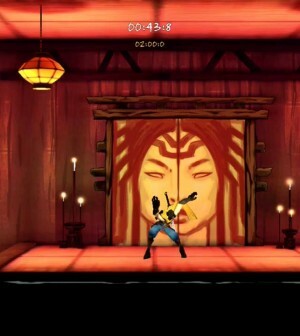 The game’s choice of hues accent the stages and present intriguing color choices that leave a lasting impression on the player. The style of the game is one of its greatest assists. Sound on the other hand, is less impressive. The audio gets the job done with vaguely east Asian compositions and the occasional sound effect when called upon. But this isn’t the kind of game music you’ll want to listen to on it’s own. Then again it also isn’t game music you’ll wish to mute. The sound design is average – neither good nor bad. Gameplay is your typical sidescroller hack ‘n slash, but there are a lot of cool ideas incorporated in to the gameplay, such as being able to cling to and jump off walls, double jump, and stealth-kill foes. None of this would be satisfying if the game controlled poorly, but luckily Shadow Blade is optimized for Ouya and plays just like any other console platformer with smooth, responsive controls and movements with intuitive button layouts and commands. Ninja Blade isn’t especially long, but it makes up for that fact with high replay value. Every stage scores you on collecting the ki orbs, finding the two ninja scrolls, killing all the enemies and reaching the end in a certain time. Like all great games, the difficulty ramps up as you play, with a gentle early game to get players up to speed on the controls before throwing all manner of hazards at them. 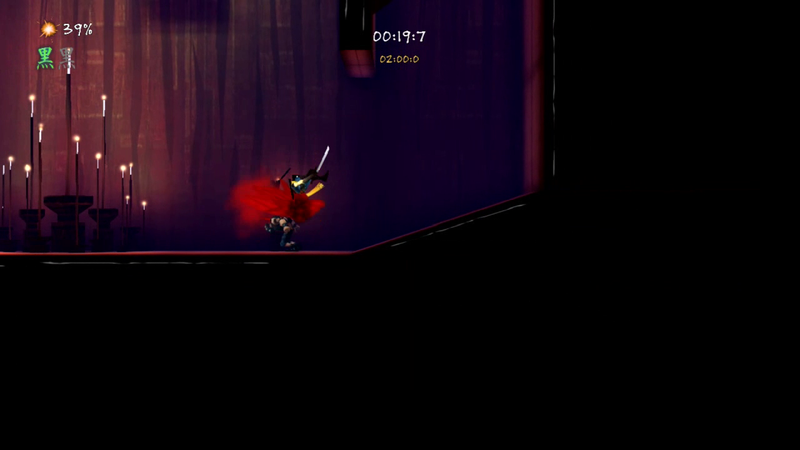 Your ninja dies in a single hit, but luckily there are respawn points throughout the levels and with a bit of practice you’ll learn from your mistakes and be ready for the game’s next challenge. At just $4.99, Shadow Blade for Ouya is also one of the best deals for a retro-inspired game that I’ve seen in a long time. I can’t recommend ShadowBlade enough.